Inspired by the idea of true healing and wellness, Jessa made the switch to natural, non-toxic beauty products in 2008 and founded her company, Blades Natural Beauty, the same year. Her goal then and now is to provide sustainable beauty routines, pure products, and expert advice for anyone looking to detox their medicine cabinet and heal—instead of hide—their imbalances. When she’s not on set, Jessa uses her fifteen years of experience to lead private lessons and group workshops on beautifying from the inside out. She teaches women how to apply makeup, choose natural and healing products, and incorporate herbs and food based medicine into their lives to heal their skin. As a teacher and a makeup artist, Jessa's mission is to bring the message of self-care and empowerment into the conversation around beauty and healing. Many of Jessa’s favorite natural beauty and wellness products, including her signature line of skincare and her hand-blended herbal teas, are available in her online Self-Care Supply Store and Apothecary. Jessa has studied with a group of wise and powerful teachers, including Rosemary Gladstar, Peeka Trenkle, Phyllis Light, Hilary Garivaltis, and Nancy Phillips. As well as studied at The Open Center and Kripalu and Sage Mountain. Jessa has been featured as one of Glamour magazine’s “70 Amazing Eco-Heroes” and chosen as TreeHugger's "Best Green Makeup Artist." She has contributed to Vogue, The New York Times, Mind Body Green, Into the Gloss, Style.com, Well and Good, Natural Health, Organic Spa, and appeared on The Today Show. 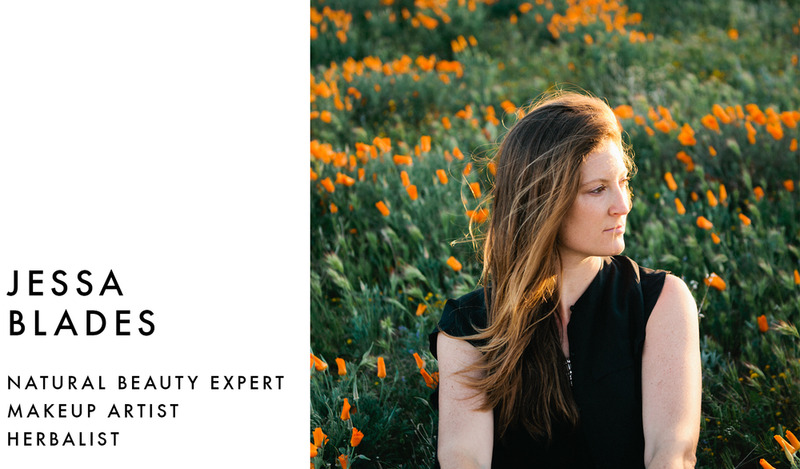 Most recently Jessa was chosen to be on the Clean Beauty Council with Credo Beauty, the first of its kind.